Hello, and a delectable December to you! Welcome, or welcome back, to my newsletter. 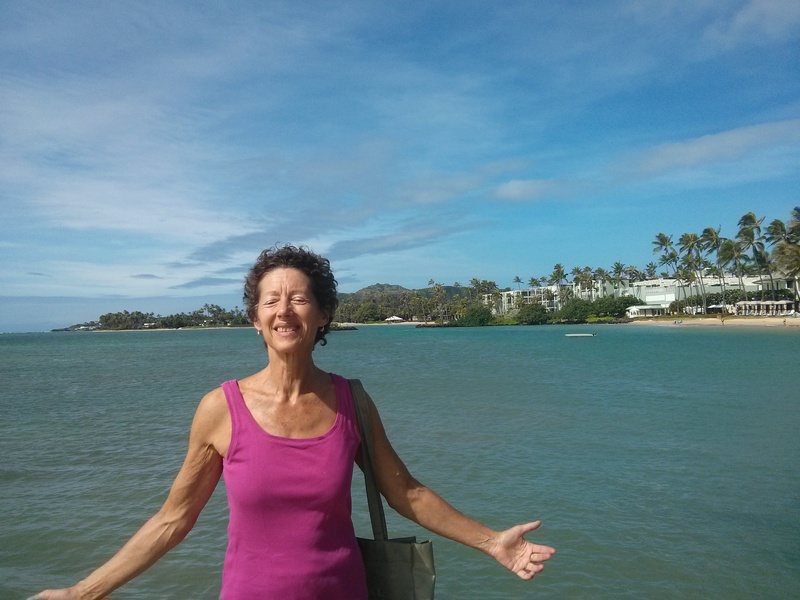 In the photo above I'm on a spit of land out from a Hawaii beach, feeling the very bright sun and strong warm wind feed my spirit. Are you letting the powers of Nature energize you? Today's issue has an article on dreams about vision. Enjoy! Recently I told a new vision client with a strong prescription how it surprised me that I was never wearing glasses in my dreams. This was the case even when I was younger, and wore them on my face non-stop when awake. She exclaimed "Me too!". Might this kind of dream mean some part of us already knows how to see clearly without glasses? I find myself flying fairly often in my dreams, sometimes as if it's a normal mode of transportation! I may be high in the air, yet I'm still able to see well whatever is on the ground below me. Rather than be discouraged when I wake up and my vision is not as clear as that, I'm starting to carry the feeling of super-clear dream vision with me. Maybe I can help that become my waking vision too! 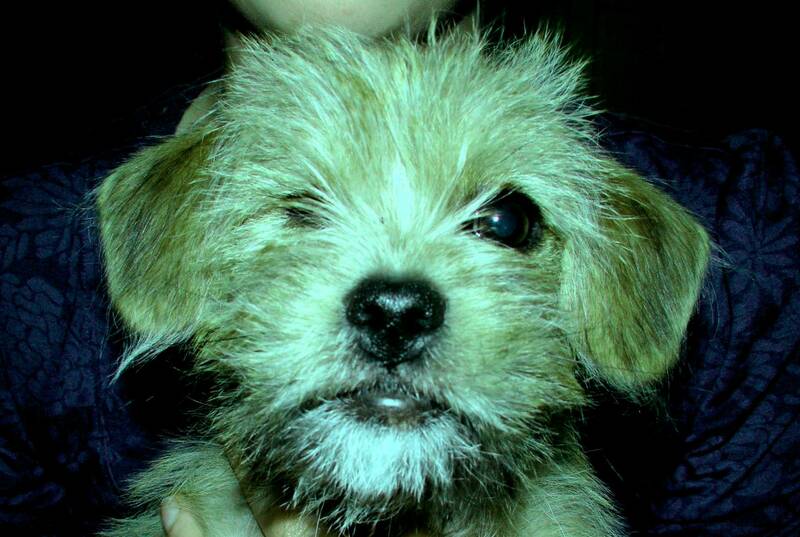 Earlier this year I dreamed of a one-eyed dog, who seemed surprisingly content with his "defective" state. Was this telling me my vision could be a lot worse, and I should be grateful to only have some mild myopia? Or because the dog appeared on my mother's lawn, was this pointing to something about my family's visual history? (My mother got glasses as a teenager and always wore them -- is this where I "learned" I needed glasses myself?) Dreams give us important clues about our life, yet sometimes it's quite a challenge to decipher them! You can read more about this dream here. Let me give you one more vision dream, featuring a guy who seemed to need opera glasses to see across the room. Click here to read it. In any case, don't be in such a hurry to dismiss your dreams as "only a dream"! I believe dreams can bring important guidance, about your vision or whatever else you need help with. Dream on! To see more about my dreams with vision as a primary theme, click here. Let me know what you've wondered about concerning vision or dreams or energy medicine. I'll be glad to write a short article addressing that topic. Thank you to those who have sent me questions, or see a question you asked me in a private session written about here. You're helping many other people! Enjoy the start of your December. I'll write again in a few weeks. Take care!